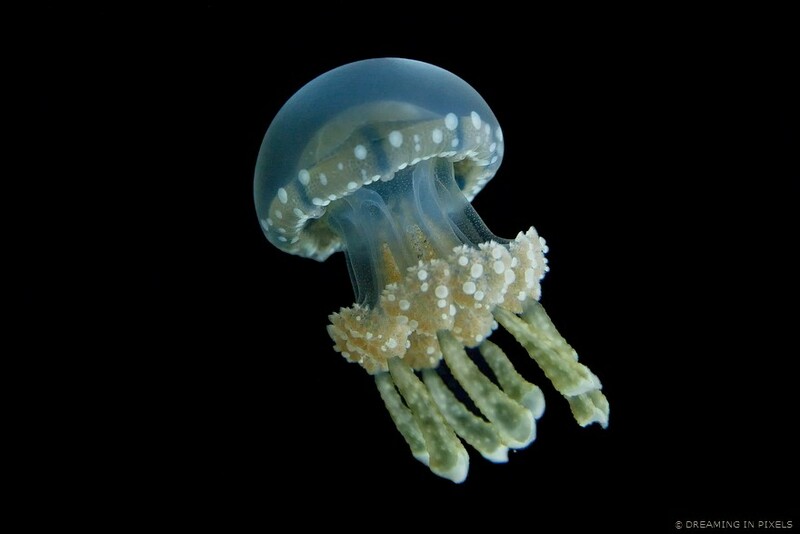 This is a Lagoon Jelly a.k.a the spotted jelly. 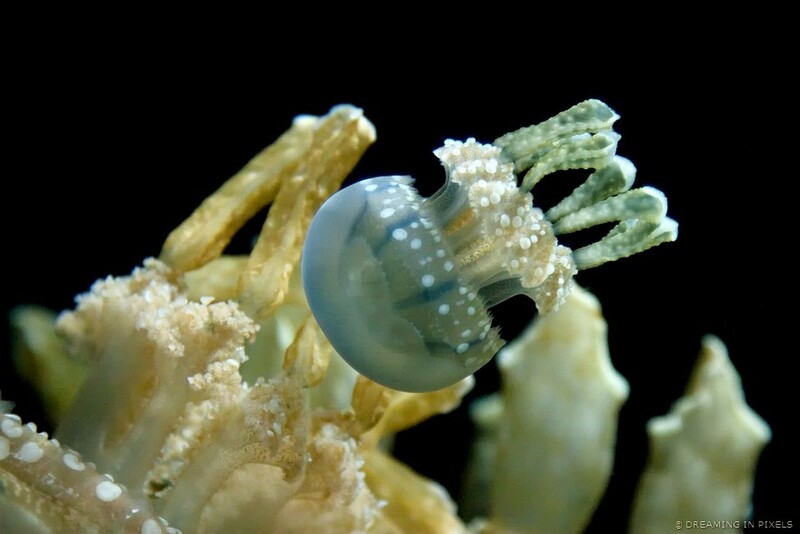 It lives in harbors, bays and lagoons in the South Pacific. It has a rounded belly and strange clumps of oral arms (which transfer food from tentacles to mouth) with club-like appendages that hang from its body. This cute little drifter, instead of a single mouth, has multiple small mouth openings on its oral arms which capture tiny animal plankton. Some of the larger drifters actually have fish living with them. 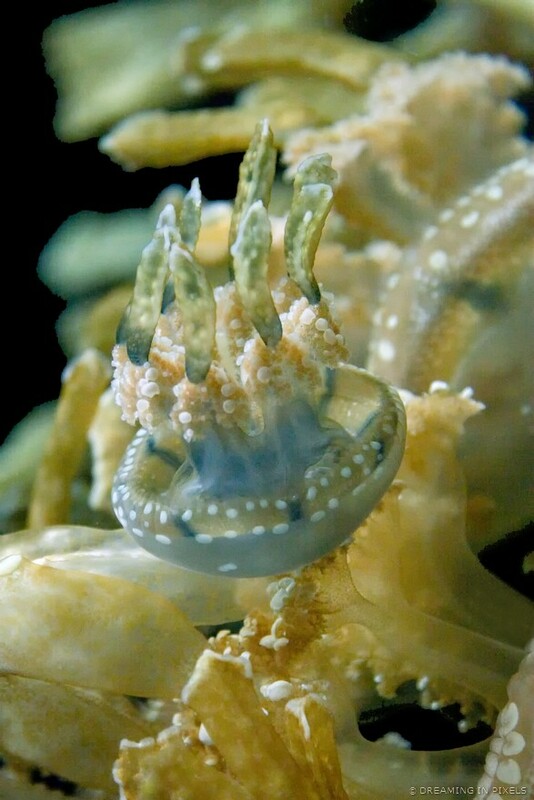 The fishes use the insides of a jelly’s bell for protection against larger predators until they reach maturity… and the jellies apparently seem to have absolutely no problem with this kind of arrangement. 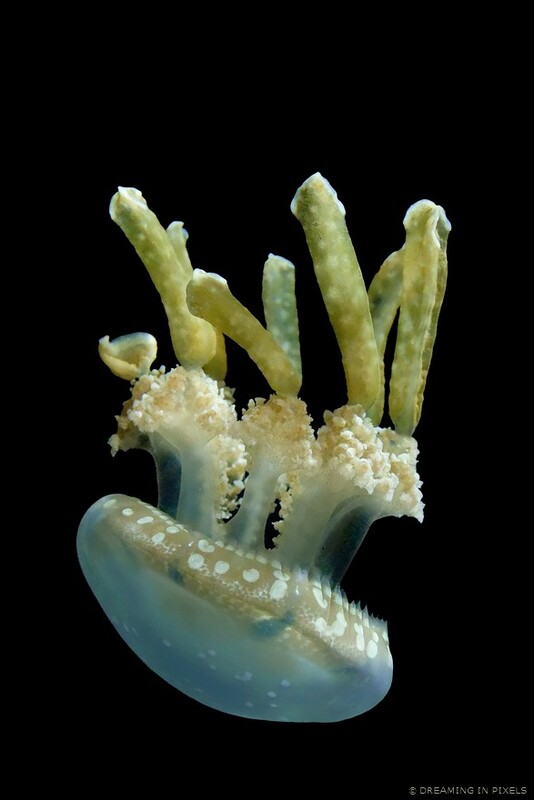 Each jelly grows a crop of algae, which gives them a greenish-bluish-brown color. They harvest some of their food directly from the algae they grow. Think of it as their personal food bank. I took these photos last year at Monterey Bay Aquarium. 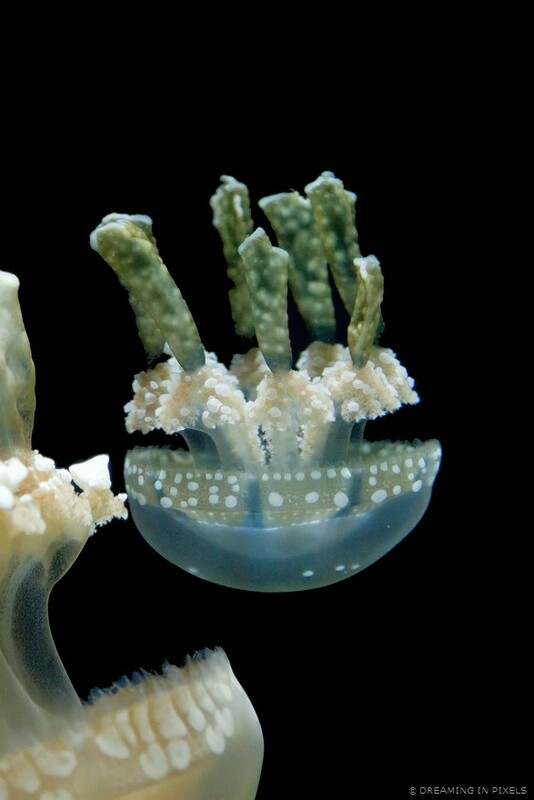 It was the Jellies’ last day at the aquarium before they were packed and shipped to various destinations across the globe.